Cap Connection has a great selection of roof rack systems for sale at our truck center located in Waukesha. We carry only the most durable roof racks to ensure your equipment makes it to its destination safely – in one piece. 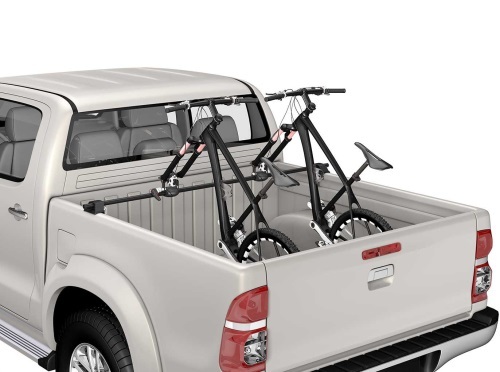 We carry a variety of Yakima racks to fit your lifestyle. Depending on what you want to haul, there are racks for carrying camping gear, kayaks, bikes, hunting or fishing equipment, and snow and water sports equipment. The Outdoorsman 300 has the strength to support up to a 300lb load. These racks will fit most truck beds whether you have a compact or full size truck. Contact the truck experts at Cap Connection for information on roof racks we currently have in stock.